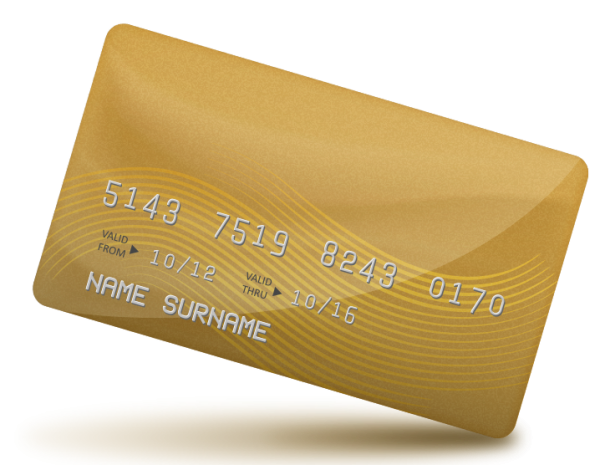 Accept credit cards, integrate with PMS, create Users, Login Codes and Refills. If the guest needs high speed access, desired Internet plan should be selected and optionally paid with a credit card. With Hotel PMS integration, hotel may grant premium access to selected users, or add plan cost to the guest room. 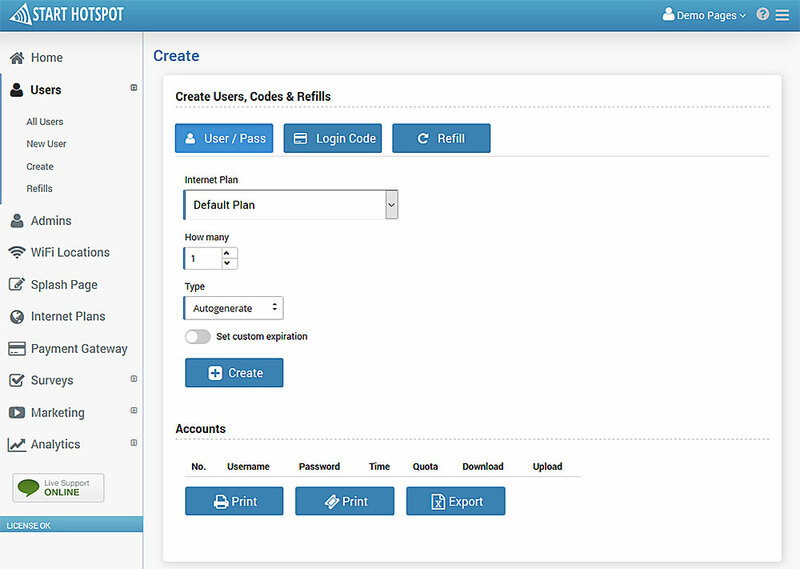 Easily create and print single or bulk user accounts, login codes and refills. WiFi Billing includes several account types. User / Pass– Customers register for an username and password, payment is done up front. A customer then can use the account until time and/or bandwidth quota run out. The account can be refilled with quota and/or time using a refill. Login code – This type of account works exactly like a User / Pass account, except it uses alfanumeric code instead of username and password. Refills – Refills are used to add more time or bandwidth quota to an already existing user account. 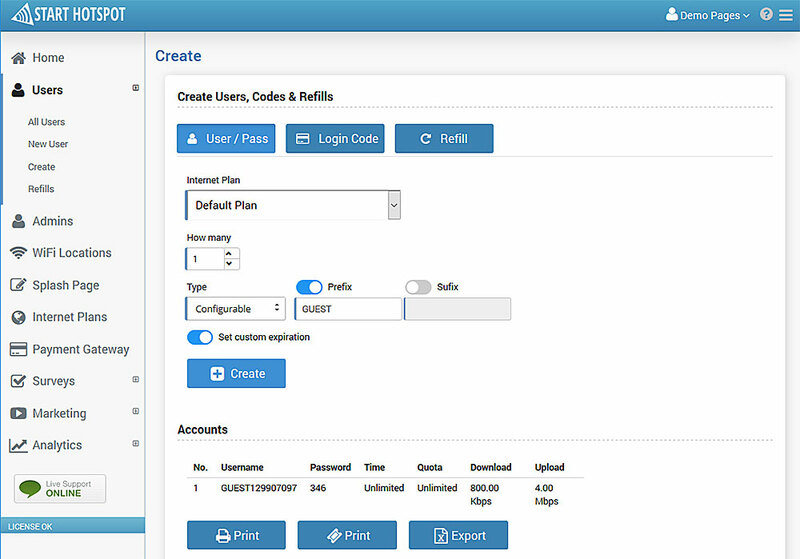 Customers can also use refill to login, which is automatically converted into a full featured account. Administrator or employee is able to modify any of the settings before generating accounts. If you want to create a user account with random Username, as Type select Autogenerate. To set Prefix and Sufix on the user account, select Configurable. You can set fixed username or login code using Fixed code option. Password is generated randomly for all types. 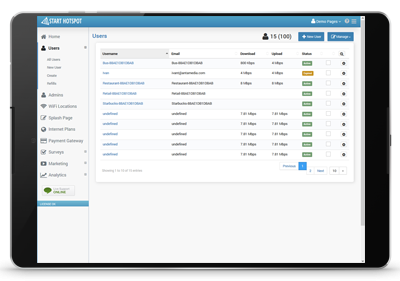 Also, you have the ability to manually update properties like download and upload rate, available time and bandwidth quota, expiration date, autologin and many more options. Payment gateway feature allows you to automate Signup process from Splash page. Visitors who are willing to use your services can sign up for username and password, choose an Internet plan and pay with their credit card. An account is created and the customer can browse the Internet. You will not need staff to sell tickets. Click for a list of supported payment gateways. 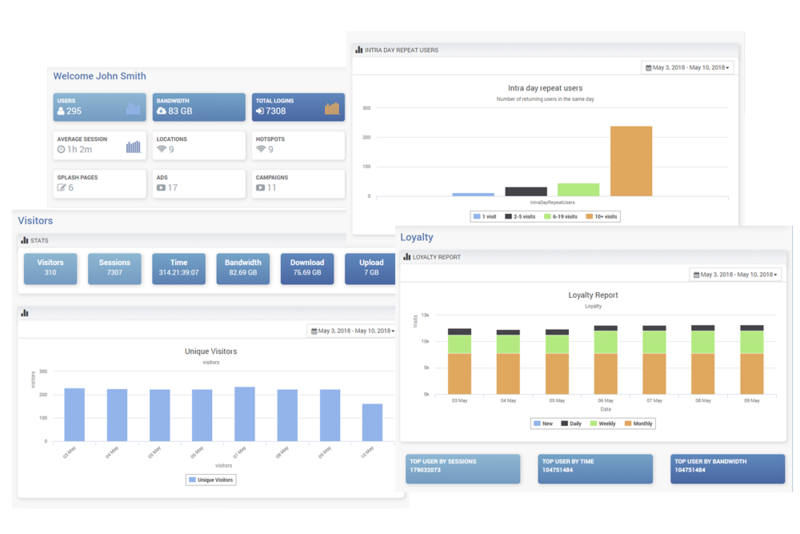 Visitor stats are split into multiple reports, which include loyalty, top users, timeslots, repeating and first time visitors, gender and age breakdowns. Collected surveys will give you real-time information about good and bad – that should be taken care of before it escalates. With date range filter you can profile your visitors with ease, learn usage habits and prepare workable marketing activities.